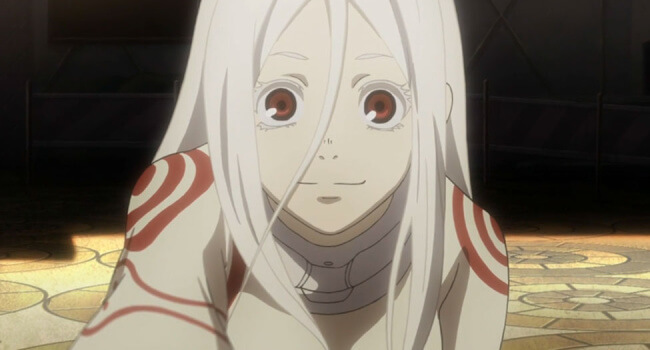 In Deadman Wonderland, Shiro is a strange and bubbly girl who is a bit clumsy. She is an albino with snow-white hair, pale skin, and even white eyebrows. She is a childhood friend of Ganta Ishigara.